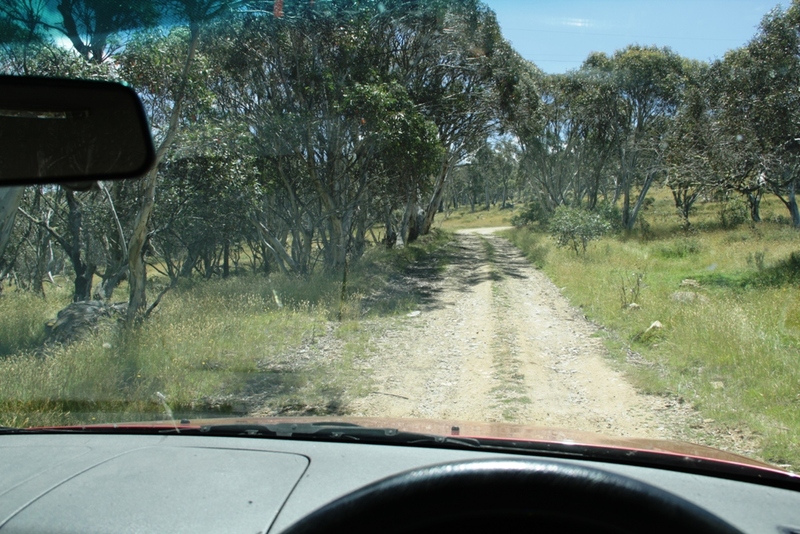 On a sunny autumn Saturday morning, Holly and I took the opportunity to explore the Snowy Plains area of Kosciuszko National Park. 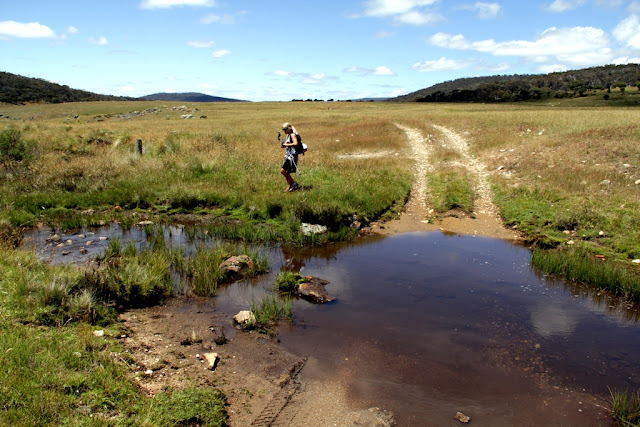 We are slowly knocking off the different areas of the park and I had been keen to visit the Snowy Plains for awhile to explore the relics of the areas early pioneering agricultural past and to check out the fishy (although a little bit secret) rivers. 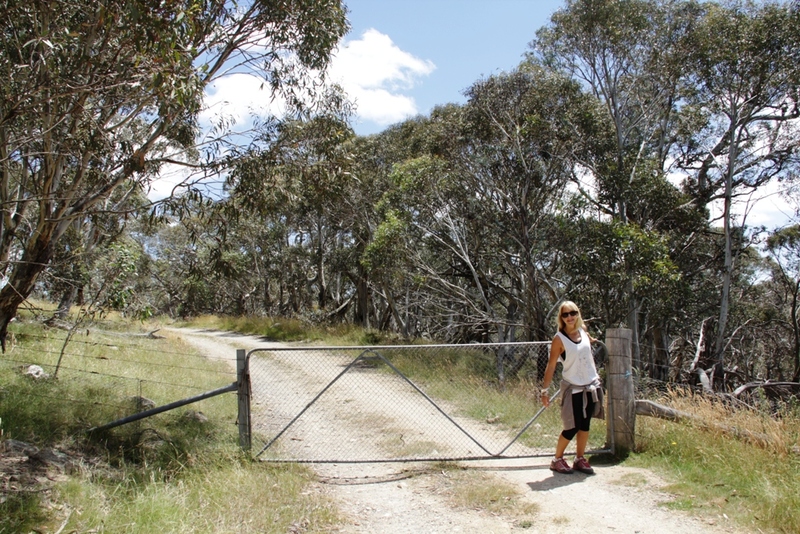 The drive to the trail is via a convoluted series of private properties, gates and dirt tracks. Lucky I had Holly with me to help. We parked on the banks of the Gungarlin River, I was regretting not bringing my fly rod as the river was looking very fishy. 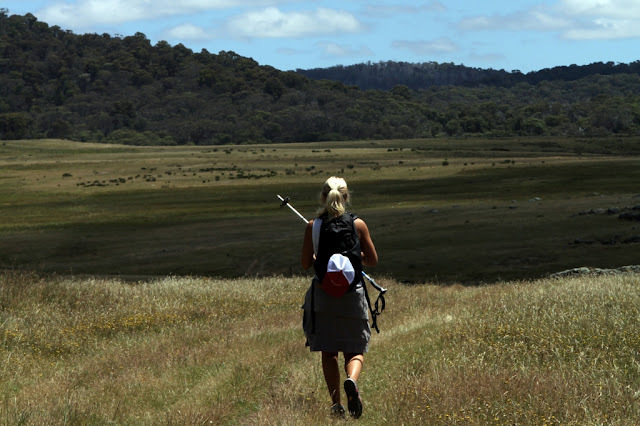 Our goal for our hike was Davey’s Hut, few kilometres north of the trail head. We set off across the plains. 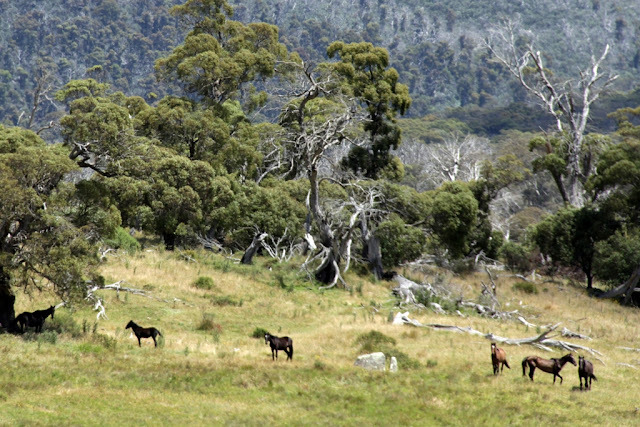 After a short time, we came across a mob of the famous but controversial Brumbies of the Australian high country. 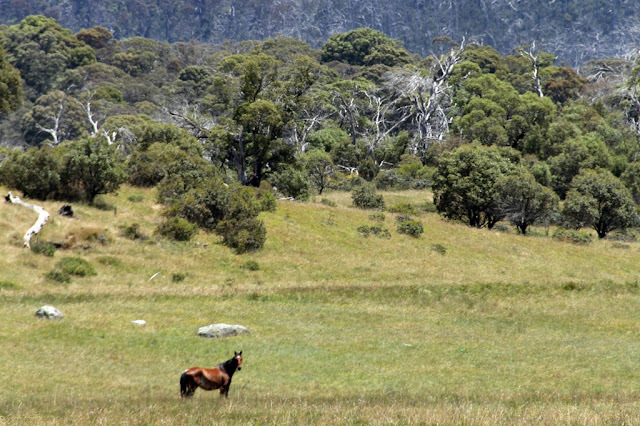 Brumbies are free-roaming horses which are the descendant of escapees of the early European settlers. 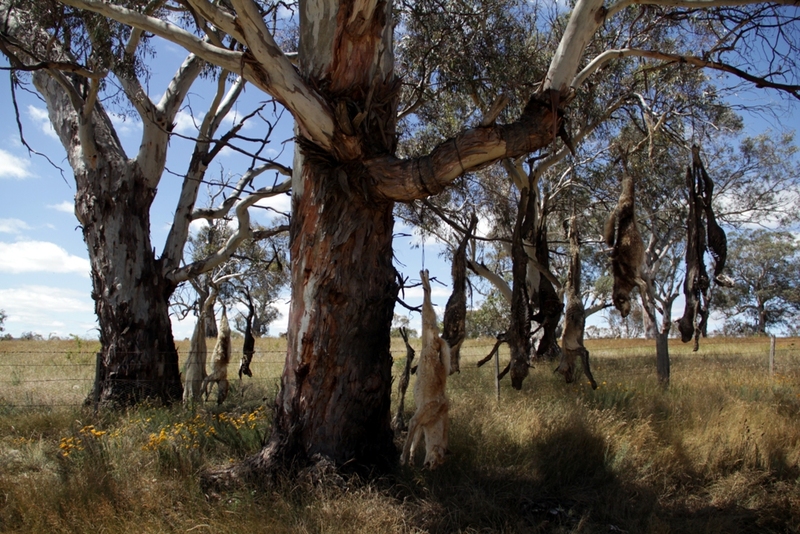 Although a feral animal which can cause significant environmental damage, they are revered in Australian folklore and are the focus of some of Australia’s most famous literature. 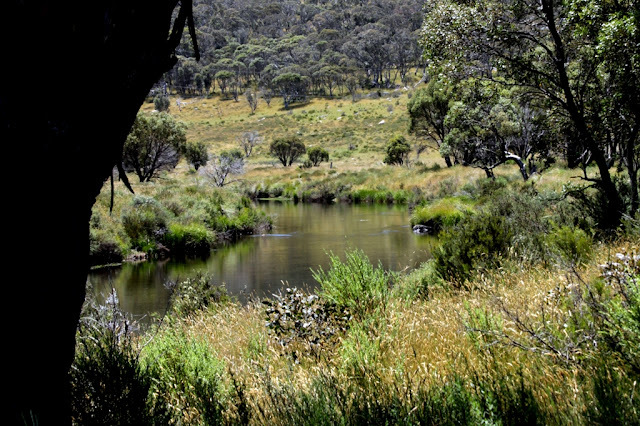 The Man from Snowy River was written by Banjo Patterson in 1890 and is probably the most well known piece of Australian bush poetry. 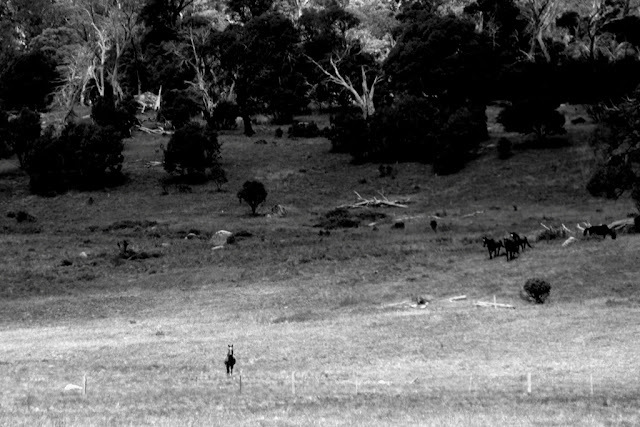 The poem, which is on the $10AUD note, tells the story of a valuable colt that has escaped and is living with the feral bush horses and the ensuring effort to recapture the colt. Also well known is The Silver Brumby which was a series of books that documented the life of a magnificent “creamy” brumby. The books were later turned into a film (starring a young Russel Crow!) and also a children’s cartoon series. 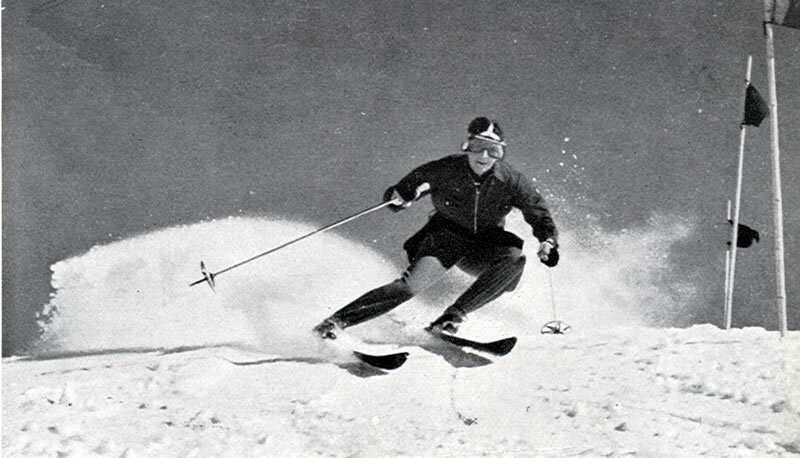 The author, Elyne Mitchell, was one of Australia’s finest skiers, she won the 1938 Canadian downhill skiing championship and is widely credited with many first descents of the western faces of the NSW Main Range. Slopes that today, even with all our modern gear, are incredibly challenging (perhaps the feats of Elyne Mitchell deserve there own post). Anyway, where were we again? Oh yea that’s right having a stare off with a brumby stallion. 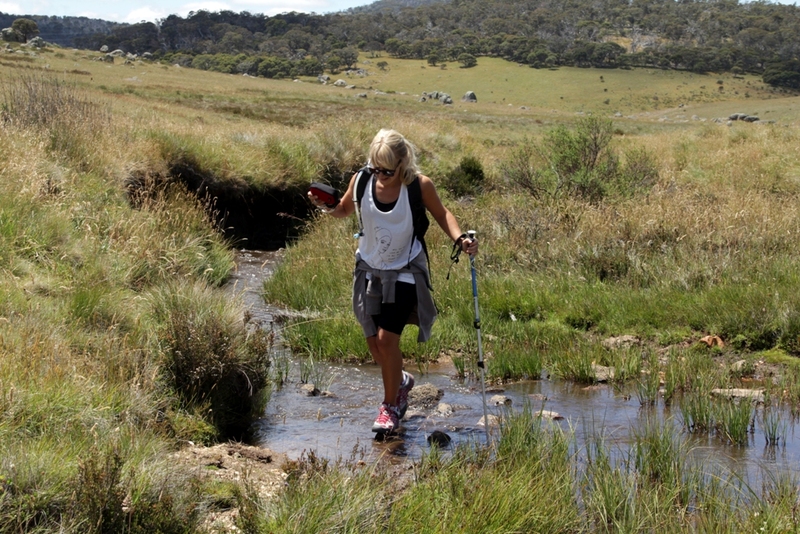 After avoiding the angry stallion we continued on our way towards the hut crossing Diggers Creek. 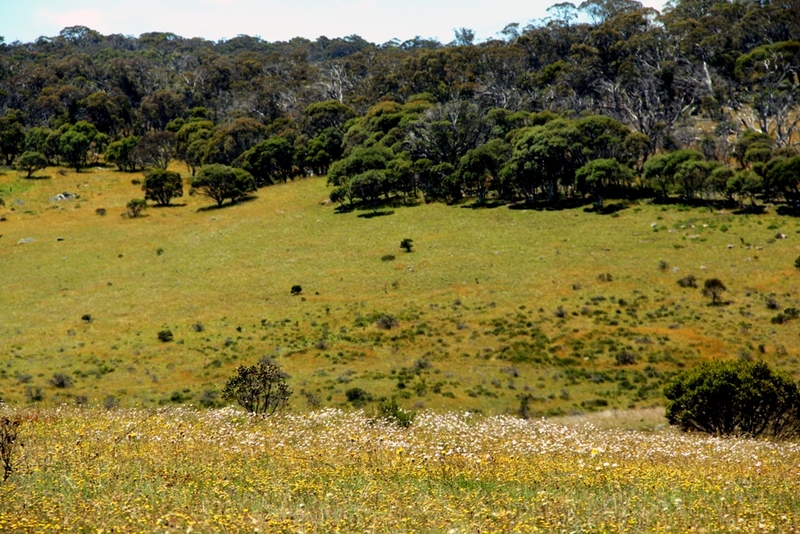 The Snowy Plains was once a summer grazing area. 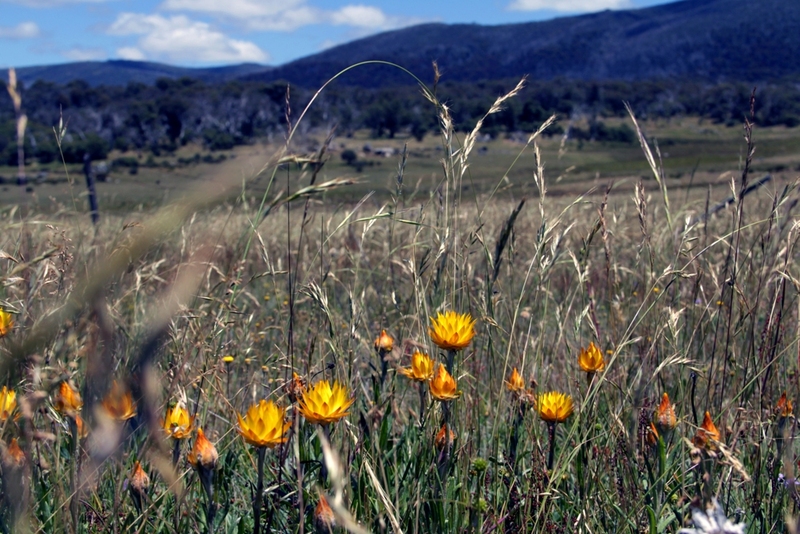 Over the years the parts of the area have been acquired by the state government as part of the Kosciusko National Park. 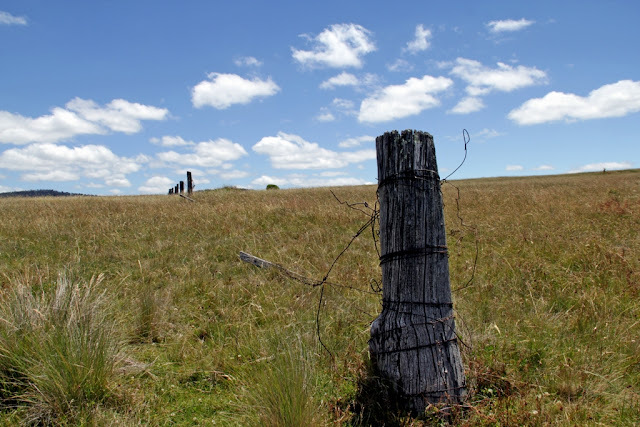 Many relics of the agricultural past remain. Davey’s Hut was originally built in 1909 by Tom Bolton. According to the interwebs, old Tom worked the Plains for gold and managed to find enough to buy some land on which he built his hut. Tom was the local mailman and apparently, in winter, did his mail run using skis made from Australian alpine ash. 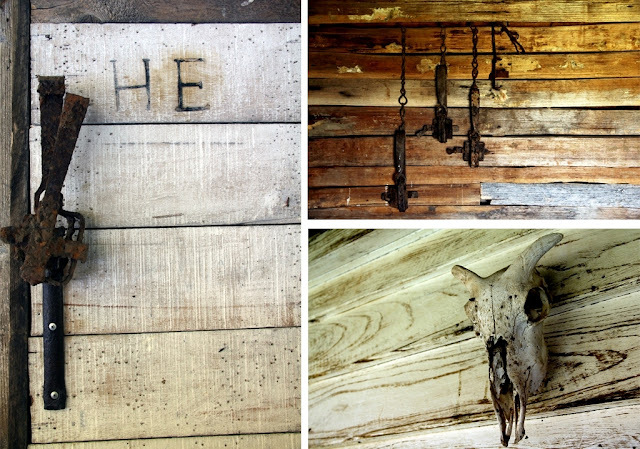 The land changed hands a few times and was eventually bought by Davey Williamson from whom the hut gets its name. 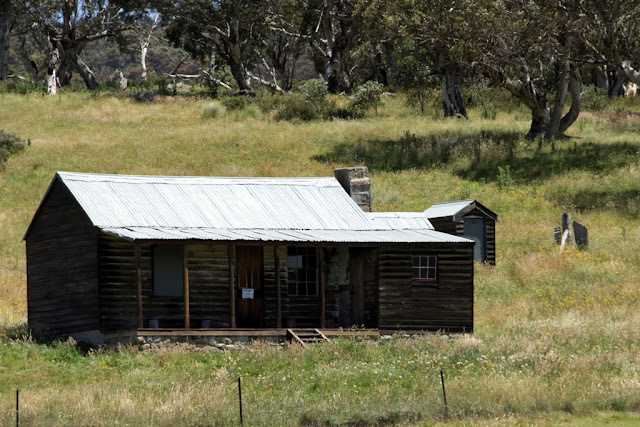 Davey and his stockman used the hut for summer grazing until the land was incorporated into the National Parks in 1969. 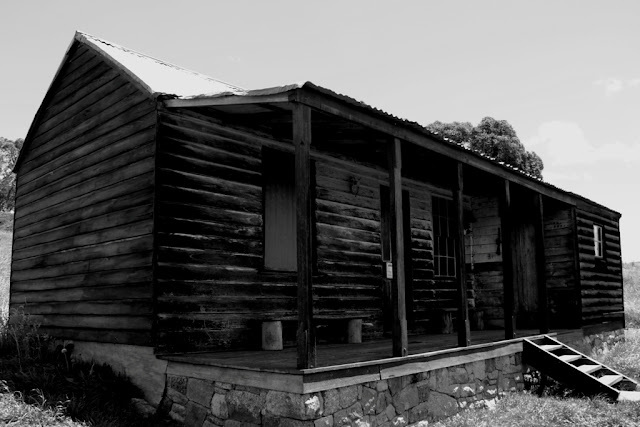 The hut was gradually restored by a number of volunteers and by the Parks Service. We spent some time exploring the hut and reading the log book. After having a bite to eat we continued on our way, I couldn’t help but think that we were being watched…. 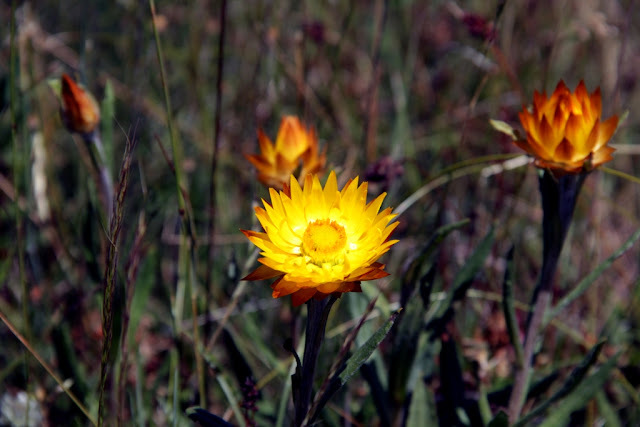 On the return journey I took a bit of a deviation from the track to get amongst the wild flowers and trees. 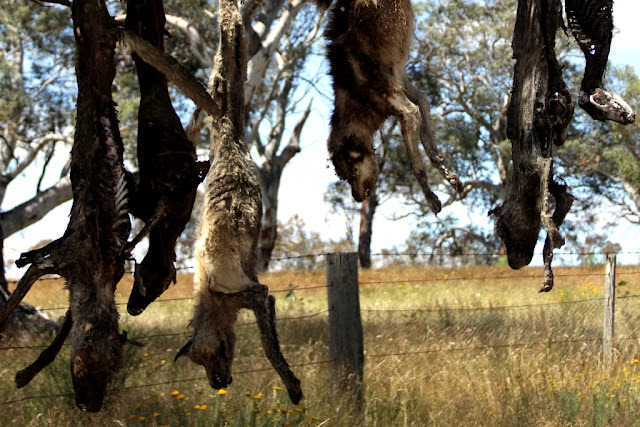 Driving back to town after our walk we came across a tree with a bunch of dead dogs hanging off it. Horses aren't the only feral animals living in the area. Feral dogs have mated with the native dingo to make a cross bred wild dog that is particular fond of the local sheep. This particular farmer is pretty “old school” and is well known in the area for hanging up his kills! Thanks Hendrik, it was a nice day out!